The Auckland Council on 29 May gave its unanimous support to host the 36th America’s Cup in 2021, bringing the much-anticipated sport back to Auckland’s waterfront. "This is a time for Aucklanders to celebrate. 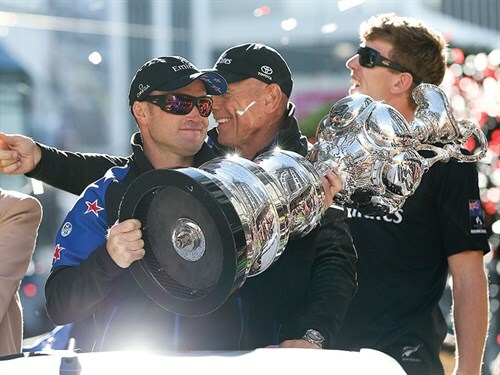 We are a city that is capable of hosting world-class events and with the defence of the America’s Cup, we will be the focus of the sporting world," Mayor Phil Goff says. The mayor added that the sporting event would bring in more jobs and boost Auckland’s accommodation, tourism, and hospitality sectors. This will be alongside other changes that will be seen in Auckland, such as a new public space on Hobson Wharf, a sheltered space for maritime events, and bringing forward work already planned for the improvement of the city centre. Talking about the agreement between Emirates Team New Zealand, Auckland Council, and the government, ETNZ COO, Kevin Shoebridge, says, "The three parties have always had the same end goal in mind with different aspects to achieve along the way, but the option agreed is an excellent option easily comparable, or better than San Francisco, Bermuda, or Valencia, so it’s very positive." The three parties also entered into a Host City Appointment Agreement, which was approved by the Governing Body at the meeting held on 29 May. The cost-sharing agreement between Auckland Council and the government was also approved. Of the $212.4 million budgeted to host the America’s Cup, Auckland Council’s total share would amount to $98.5 million.